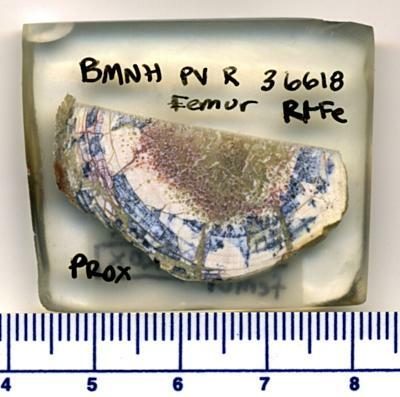 Distal view of the proximal cut block from the embedded specimen. Cut blocks reposited at NHMUK. Image scanned with scale bar on an Epson Perfection 4490 Photo flatbed scanner.